Many of the sites we build can be easily developed using our own content management system, but some projects require custom development integrated into our CMS. Methodist Health System is one of our clients that requires custom development for some of their business needs. Health systems can't operate without their team of health care professionals, and they need patients to be able to learn about their potential doctor before choosing or making an appointment. It would require an a lot of work to maintain and update the doctors manually for a large health system. 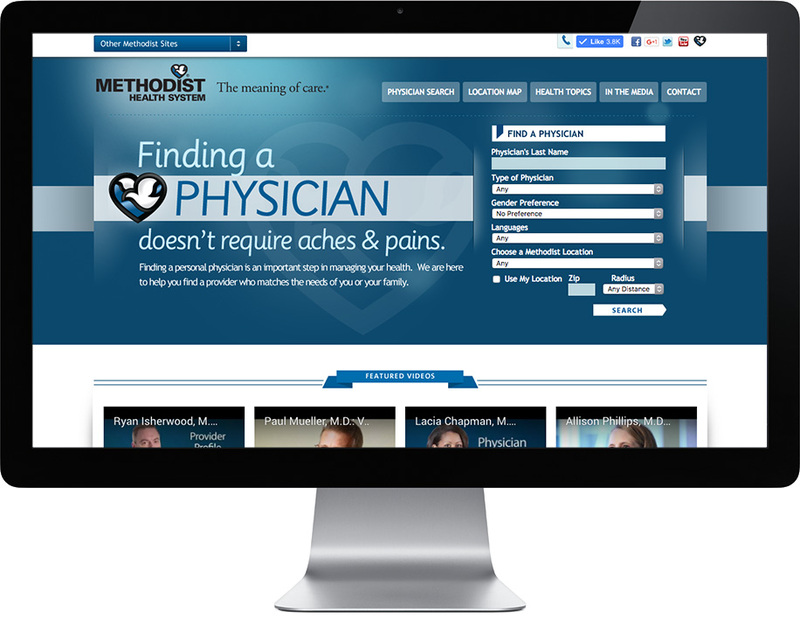 To make the process more manageable for Methodist Health System, we developed a database driven site, MHS Doctors, to display their doctors. A template for the doctor profile was developed with areas of content that would be automatically filled by the database when it was imported. This made a large amount of content easily manageable for the Methodist Interactive Department. Request an Appointment is an integrated part of MHS Doctors. Each doctor who accepts online appointments has a built-in link on their profile that opens a separate window where users can request appointments with their chosen physician. This is a custom developed site that needs to pull each doctor's name, location and their availability for appointments. The administrative staff at the clinics review the appointment requests and contact the patients to schedule appointments. Since Methodist Health System is a large organization, there are many groups with different events going on at different times. 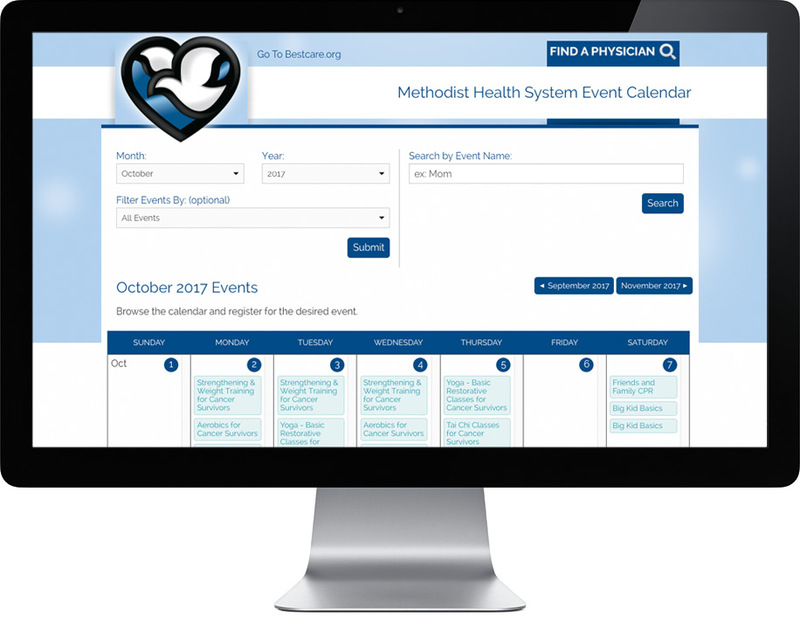 We worked with the Methodist Interactive Department to build a calendar for the entire health system. Each of these events has different requirements—number of kids, ages, dietary restrictions and payment in certain instances. All of these needed to be taken into consideration when developing Methodist's online calendar. While many websites don't need custom development, certain business needs require it. We enjoy working with our clients to deliver the tool they need to get their jobs done.